Great Neck was one of the many commutervilles lining the route of the Long Island Railroad in the years following World War II. This sleepy little New York town had become famous up and down Long Island for its excellent schools. Everyone at Great Neck High School was expected to go to a four-year college; higher education was both imperative and assumed. Here David Baltimore went to school. He was one of those students whom everyone referred to as "gifted," and when his brother came through the same classes four years later, the teachers still remembered David. In school, David had no particular direction in mind, and biology classes in the 1950s were unlikely to inspire budding scientists. David's biology class consisted entirely of memorization. He learned the parts of a fern, the pieces of a flower, how the five biological kingdoms were divided, the names of all of the classes in the animal kingdom, the organs of a frog. The course was descriptive; students were not encouraged to ask how or why, or to think about how to solve a problem. And laboratory experiments were far beyond the capacity of the high school classroom in time, resources, and knowledge. The world of research remained foreign to him. There are no child prodigies in biology. Future physicists may play with radios or electronics, forcing electrons to flow along wire paths through light bulbs or amplifiers, but there is no comparable pastime for biologists. Nature-watching is no substitute. Simply looking at frogs is no more instructive than looking at a radio: the tinkering is the important component. Perhaps someday, when molecular biology has reached elementary and secondary schools, promising young biologists will play with molecular biology sets the way chemists and physicists play with chemistry sets and circuit boards. As it is, most young biologists do no experiments before college. Of the few who do, almost all experiment with chemistry sets, only to switch to biology in college when they learn about its experimental possibilities. Experimentation is central to biology because, unlike the laws of physics and mathematics, the laws of biology cannot be derived from first principles. A mathematical genius sits down with a pencil and paper and derives the mathematical world. Theoretical physicists do the same; Einstein made three of his most profound discoveries before he was twenty-five without doing a single experiment. But you cannot derive the biological world from theory. Molecular biological systems have an untraceable history, stretching back through three to four billion years of evolution (scientists can find fossils of cells, but evidence of their molecular mechanics all disappeared long ago). And historical causes often completely undermine what seems logically intuitive. To illustrate this, biologists often compare the molecular biological world to a Rube Goldberg apparatus. Goldberg, a cartoonist, drew ludicrously complicated contraptions to accomplish simple tasks. For example, Rube Goldberg's Labor-Saving Potato Masher works by the following mechanism: A several-week-old hunk of cheese gets restless and moves down the incline it rests on, toward a duck. The duck is overcome by the fumes and falls over onto a see-saw, launching a spiked ball into the air. The spiked ball pops a balloon. A policeman hears the pop and thinks somebody has been shot, and so he pokes his head through the window, bumping his head on another lever, which tips over a pitcher of water. The water pours into a hopper and is forced out through a pipe, pushing an electric button, causing a motor to start cranking a music box. A Shimmy Bird starts dancing to the music, causing the platform it stands on to vibrate, which forces the potato masher to mash the potato sitting in a pot beneath the platform. Biological systems are analogous to a Rube Goldberg model: knowing the task to be performed does not allow a biologist, no matter how brilliant, to infer how that task is accomplished. Biological reality is a complex mix of historical and rational causes. Biological discoveries are made by experimenting, for which it takes training to develop the necessary skills and educated creativity. David's introduction to experimental biology did not come from Great Neck High School; it came with a little help from his mother. He recalls having "a kind of knee-jerk reaction to premedical orientation, because that's what a successful Jewish boy did." David's younger brother, Bob, had the same reaction, and it eventually led him to become a professor of pediatrics at Yale University Medical School. Both sons held their mother in absolute respect. She was a working intellectual who had earned a master's degree in psychology from the New School for Social Research in New York during the 1940s and later became a tenured professor at Sarah Lawrence at the age of sixty-two. Even while she worked, she devoted herself to her sons' education. Early on she held David back in first grade for half a year, possibly to give him a social boost. She and her husband had moved from Queens to Great Neck when David was in the first grade because they wanted the best education for their two sons; they moved back to the city as soon as the kids went to college. She vested great faith in science and education, and, like many Jewish parents of the era, she and her husband hoped their sons would enter science or medicine. In David's junior year of high school, his mother nudged him into research by encouraging him to apply for a little-known summer research program at the Roscoe B. Jackson Memorial Laboratory in Bar Harbor, Maine. He was accepted, and in early summer his parents drove him up the coast to the remote mouse laboratory on Mount Desert Island. Maine. June, 1955. Sunlight fell through gaps in the gray clouds retreating over the north Atlantic, and sheets of light scattered across the waves, breached the shore, and brushed slowly over the rooftops of Bar Harbor. They skirted the oak- and beech-covered flanks of Cadillac Mountain in Acadia National Park and finally trickled through the lush green canopy surrounding Jackson Laboratory. A future scientist's first exposure to experiments is of critical importance, and in David's case it was doubly so, because in those first days at Jackson Lab he met Howard Temin. As fate would have it, they would share the Nobel Prize exactly twenty years later for independently discovering reverse transcriptase, the enzyme that allows viruses such as HIV to replicate and reproduce. Jackson Lab scientists had trained Howard in the summer high school program five years earlier. Shortly thereafter, at age eighteen, he published his first scientific paper. In his Swarthmore College senior yearbook, his friends wrote: "Will be one of the future giants in experimental biology. . . could be a fine wrestler, but muscles too big for fascia." On the Swarthmore wrestling team Howard fought with a quiet ferocity, tying opponents in knots with his gangly reach, but off the mat he maintained a mild-mannered decorum. Some of his friends called him Dean Howard. He had returned to Jackson Lab for the summer of 1955 to mentor the new students and to tinker with some genetics experiments of his own. Baltimore, four years Temin's junior and distinctly smaller, readily engaged Howard. Their first impressions must have been positive. Howard knew that anyone accepted to the program had to be bright. For David, Howard was the first twenty-year-old he had ever met who was a real scientist. Years later David would fondly recall Howard as the summer "guru." The full group photo of the 1955 Jackson Lab whiz kids shows David displaying a certain adolescent awkwardness--the mundane sort, betraying clothes bought by mother and an uncertainty about the importance of attire. Temin has no such uncertainty, standing with arms akimbo and his jaw set in scientific seriousness. The Jackson Lab geneticists structured their summer program around a core of daily lectures and three small research projects. The lab specialized in research on mouse genetics. In addition, Jackson was, and is, the largest supplier of lab mice in America. The Jackson Lab mouse library has the broadest, most scientifically potent, and most mind-boggling collection of mammalian genetic variations ever catalogued. In 1995, Jackson was shipping out two million mice a year. Thousands of mutant strains of scurrying mice rattled cages stacked from the floor to the ceiling in long warehouse buildings: black mice, white mice, sandy mice, spotted mice, mice with big ears, mice with pink eyes, fat mice, diabetic mice, mice that caught the flu, mice that shivered when they walked, bald mice, sick mice, mice that developed grotesque tumors. All of these mice lived, bred, and died for science. Dr. Don Bailey supervised one of David's three small research projects, showing him the vagaries of mouse caretaking--feeding, cleaning, mating--and teaching him basic mouse genetics. The gene is the basic unit of heredity. A specific version of a specific gene is called an allele. For example, there is a gene for mouse hair color. There are many different alleles of that gene, such as white, tan, brown, and black. A complete set of genes, or the molecular instructions describing a complete mouse, is known as a genome. Mice, like almost all animals, have two copies of their genome. This redundancy allows animals to reproduce sexually (combining one copy from each mate), to have greater genetic complexity, and to have a backup copy of many of their genes. With these fundamentals covered, Bailey taught Baltimore how to set up matings that might yield novel traits and patterns. The power of genetics is that it does not rely on knowing anything about the physical nature of the gene; the geneticist can study the inheritance pattern of hair color in mice, or certain cancers in humans, without any direct physical knowledge of what the gene actually is or does. The geneticist looks only at the gene's final effect. For example, using only genetics, scientists have determined that a certain gene can predispose mice to alcoholism. And in humans, using only genetics, scientists have determined that certain rare families have a predisposition for breast cancer. For David's second project, Dr. Willys Silvers taught him techniques for examining how mouse skin pigment cells migrate through the body during the mouse's development from pup to adult. Silvers taught Baltimore the unexpected art of mouse dissection, flaying various layers of flesh with surgical precision, locating obscure muscles and tissue structures; and then he taught Baltimore how to examine tissue slices microscopically, searching for migrating pigment cells. Silvers knew the main stages of pigment cell migration, and he was attempting to determine which colors and migration patterns were dominant over others. To accomplish this, he cut patches of skin from one newborn mouse and grafted them onto another with a different skin color pattern. Months later, the mouse with the skin graft was sacrificed and sliced up like a loaf of bread to analyze what had happened to the cells in the skin graft. Some people soon become desensitized to dropping mice in buckets of anesthetizing ice and then chopping their damp, furry heads off with razors and scissors. Others, plagued by dreams of bright-eyed mice pattering around on tiny pink feet, opt to experiment on something much less cute, something that doesn't bleed. David didn't like killing mice (even when he lived in a mouse-infested apartment years later, he threw washcloths over the mice caught in traps and waited for his roommate to throw them away), but at Jackson he managed. Dr. Elizabeth Russell, known as Tibby around the lab, led Baltimore through his third project, examining blood cell formation. The cell is to biologists what the atom is to physicists. Though the specifics are lost in the haze of memory, David most likely bled a variety of mice--slicing off the tips of their tails to collect a few drops, or sliding a needle through the eye to extract large pools of blood--and analyzed the proportions of blood cell types present by observing them through a microscope. He had never seen cells before. White blood cells, magnified five hundred times, floated beneath the lens like water balloons, swollen with grainy clumps of protein. Mature red blood cells appeared as swarms of dimpled discs, while rarer immature red blood cells drifted slowly, lugging their excess flying-saucer-shaped bulk. With different dyes David could identify neutrophils, basophils, and macrophages, each with specialized jobs in the immune system. David would sit at the microscope for hours, until someone reminded him that it was dinnertime. He made good progress on his projects and showed a promise for experimental science that surely did not go unnoticed by the faculty: he had patience, creativity, a meticulous lab manner, and a mind that was stuck in overdrive. Biology fascinated David as it fascinated his new friends, including his summertime girlfriend and Howard Temin. Establishing an intellectual peer group must have been a vital part of Baltimore's positive experience with science at Jackson Lab; although studying cells and genetics can be intrinsically interesting, scientific benchwork can be as dull and repetitious as laying bricks. Tedious projects are often assigned to a summer student because no one else wants them. So, on days when perhaps David had been transferring mouse skin grafts every morning for a week or counting red blood cells through a microscope for eight hours, the other teenagers could tell him at dinner about the new techniques they had just learned, mouse strains that they had seen, and what they thought of mating and killing mice. Of all the people David met at Jackson Lab, Howard Temin was almost certainly the most influential. When Temin died of cancer in 1994 at the age of fifty-nine, Baltimore wrote a moving reflection titled "In Memoriam: Howard Temin, the Fierce Scholar." In it, he said that at Jackson Lab "[I] venerated him for his wide knowledge and deep commitment to science." At a historic gathering of cancer biologists in 1995, Baltimore lauded Howard Temin as a scientific hero. He encouraged young scientists in the audience to emulate Temin's scientific personality, much as David had as a young man. Temin was a link for Baltimore between the unformed teenage summer interns like himself and the older, established faculty scientists. Before, David had presumed that real scientific research was far out of his reach, if he ever thought about it at all; but now a future in science didn't seem so impossible. Through his contact with Temin, Baltimore had the chance to ask, "Do I have what it takes to compare to Howard Temin?" Temin's accomplishments and rapid success set the bar for Baltimore; and, consciously or not, Baltimore would spend years working to match the skills of his first scientific role model. Little did he know the scope of that challenge. After his experience at Jackson, David never wanted to do anything but experimental science. "That was it," he recalls, "It was fantastic, just fantastic. For a high school student it was unbelievable." Tubas, Coppola, and the Madwoman of Chaillot Because David was antsy to get out of Great Neck, there is no need to linger in his high school days, but there are a couple of memories worth saving from those years. The first, and more entertaining, is that David Baltimore and Francis Ford Coppola were the two-man tuba section of the Great Neck High School Marching Band--perhaps the most distinguished high school tuba section ever to oompah in America. Coppola recalled relying on Baltimore to count correctly, waiting for David to put his lips to the brass piece before doing so himself. They are friends to this day, and Baltimore occasionally visits Coppola at his vineyard in the Napa Valley. The other notable aspect of David's high school life was his love of theater, which, as it turned out, dovetailed nicely with his political inclinations and those of his liberal mother. In his junior and senior years he led the thespian group, organizing all productions, and his favorite play was The Madwoman of Chaillot. Written by the French diplomat and playwright Jean Giraudoux when he was the French director of propaganda during World War II, and first produced on Broadway shortly after his death in 1944, The Madwoman of Chaillot was a blunt, satirical morality play about the evils of capitalism. David loved it. His personal philosophy and his family's political sympathies meshed well with those of Giraudoux. The Madwoman of Chaillot, who slips in and out of true lunacy, finds out about a plot of corporate villains to make millions by drilling for oil in the stately Chaillot district of Paris. With the help of the proletarian King of the Sewer Men, she convicts them in absentia of "the crime of worshipping money" and then convinces them to chase for oil down a bottomless staircase in her cellar, thereby ridding the world of greed. "They're greedy?" she remarks. "Ah, then, my friends, they're lost. If they're greedy, they're stupid." Giraudoux offers dark hyperbole about the merits of socialism and the sins of capitalism. The company president snivels: "I tell you, sir, the only safeguard of order and discipline in the modern world is a standardized worker with interchangeable parts. That would solve the entire problem of management.. . . Wherever the poor are happy, and the servants are proud, and the mad are respected, our power is at an end." In the opposing camp, the ragpicker moans: "I remember well a time when a cabbage could sell itself just by being a cabbage. Nowadays it's no good being a cabbage--unless you have an agent and pay him a commission.. . . These days. . . every cabbage has its pimp." David's senior year found him confused about where to go to college. He wanted to become an experimental biologist, but he wasn't in a hurry. Two factors pushed him toward the intellectual haven of Swarthmore College. The first was that Howard Temin had just graduated from Swarthmore, and he had liked it. The second was that David's mother favored Swarthmore. She knew some of the professors there from her years of studying for a psychology Ph.D. at the New School, which she never quite finished. Swarthmore was politically liberal, and David's mother and her parents had always sympathized with European socialist movements (though they never explicitly labeled themselves socialists or Communists), and that childhood influence shaped David's own liberal political philosophy. Swarthmore's academic reputation was undisputed: the Saturday Evening Post called it "the most scholarly" of American colleges and universities. For his mother, perhaps Swarthmore's most appealing quality was that it was close to home, so David could catch the train back to Great Neck for holidays. For David, the fact that his Jackson Lab girlfriend attended Swarthmore provided an extra incentive for him to take a good look at the college. David visited Swarthmore in the spring. The entire campus is a nationally registered arboretum. When he visited, the rhododendrons were in bloom, the dogwoods were flowering, and early roses were budding. Even better, David stayed with his friends from Jackson Lab. He knew that Swarthmore wouldn't offer cutting-edge research, but it would provide an excellent liberal arts education, and he believed that trade-off was worthwhile for his undergraduate years. He enrolled at Swarthmore in the fall of 1956, planning to major in biology. Baltimore's birthdate is not specifically mentioned in the text. He was born on March 7, 1938, in New York Hospital in Manhattan. He was one of those students: Interview with Robert Baltimore, July 22, 1996. A Shimmy Bird starts dancing: Rube Goldberg, The Best of Rube Goldberg (Englewood Cliffs, N.J.: Prentice-Hall, 1979). He was accepted, and in early summer: Interview with David Baltimore, March 23, 1994; interview with Robert Baltimore; Charlie Weiner interview with David Baltimore. Shortly thereafter, at age eighteen, he published: Theodore Ingalls, Frederick Avis, Francis Curley, and H. M. Temin, "Genetic Determinants of Hypoxia-Induced Congential Anomalies," Journal of Heredity 44 (1953): 185-193. "Will be one of the future giants": Halcyon, Swarthmore College yearbook, 1955. Months later, the mouse with the skin graft: Willys Silvers and Elizabeth Russell, "An Experimental Approach to Action of Genes at the Agouti Locus in the Mouse," Journal of Experimental Zoology 130 (1955): 199-220; Willys Silvers, "Genes and the Pigment Cells of Mammals," Science 134 (1961): 368-373. David didn't like killing mice: Interview with roommate Gil Harman, May 11, 1998. He and David shared an apartment in Cambridge during their first year of graduate school. "[I] venerated him": David Baltimore, "In Memoriam: Howard Temin, the Fierce Scholar," Cell 76 (1994): 967-968. He encouraged young scientists: Baltimore, "Thinking about Howard Temin," Genes and Development 9 (1995): 1303-1306. "That was it": Interview with David Baltimore, March 23, 1994. They are friends to this day: Interview with David Baltimore, January 15, 1997; interview with Keith Yamamoto, November 12, 1996. David loved it: Interview with David Baltimore, January 13, 1995. "They're greedy? ": This and subsequent quotations from Jean Giraudoux, The Madwoman of Chaillot (La folle Chaillot), trans. Maurice Valency (New York: Random House, 1947), 135, 29-30, 131. Swarthmore's academic reputation: Saturday Evening Post, 1956, cited by Richard Walton, Swarthmore College: An Informal History (Swarthmore: Swarthmore, 1986). He enrolled at Swarthmore: Information on David's decision to attend Swarthmore comes from David Baltimore, "Milestones in Biological Research: Discovery of the Reverse Transcriptase," FASEB Journal 9 (1995): 1-4; Charlie Weiner interview with David Baltimore; author interview with David Baltimore, March 23, 1994. 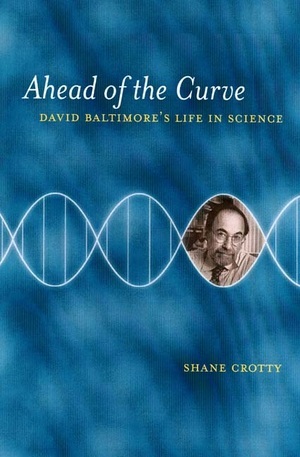 Basing his narrative on many personal interviews, Crotty recounts the milestones of Baltimore's career: completing his Ph.D. at Rockefeller University in eighteen months, participating in the anti—Vietnam War movement, winning a Nobel Prize at age thirty-seven for the codiscovery of reverse transcriptase, and co-organizing the recombinant DNA/genetic engineering moratorium. Along the way, readers learn what viruses are and what they do, what cancer is and how it happens, the complexities of the AIDS problem, how genetic engineering works, and why making a vaccine is a complicated process. And, as Crotty considers Baltimore's public life, he retells the famous scientific fraud saga and Baltimore's vindication after a decade of character assassination. Crotty possesses the alchemical skill of converting technical scientific history into entertaining prose as he conveys Baltimore's huge ambitions, intensity, scientific genius, attitude toward science and politics, and Baltimore's own view about what happened in the "Baltimore Affair." Ahead of the Curve shows why with his complex personality, keen involvement in public issues, and wide-ranging interests David Baltimore has not only shaped the face of American science as we know it today, but has also become a presence in our culture. Shane Crotty is a molecular biologist in the Emory University School of Medicine, where he studies viruses and works to develop new vaccines.